Cooks find delight in one-pot dinners. 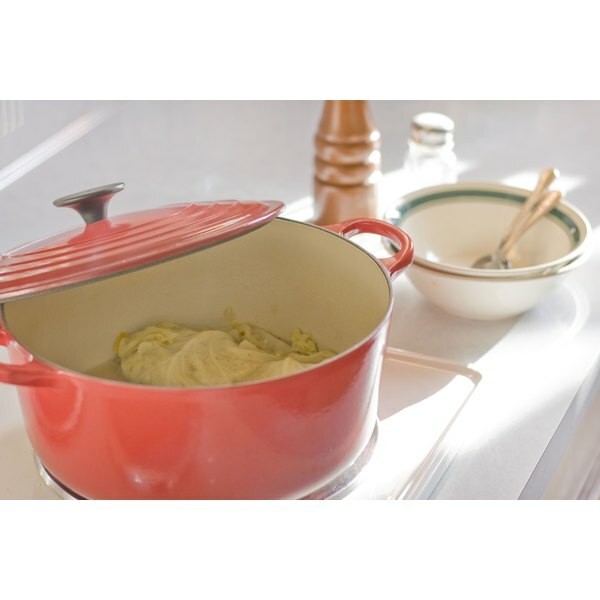 They can streamline meal preparation, cooking and cleanup with dinner in a single pot. 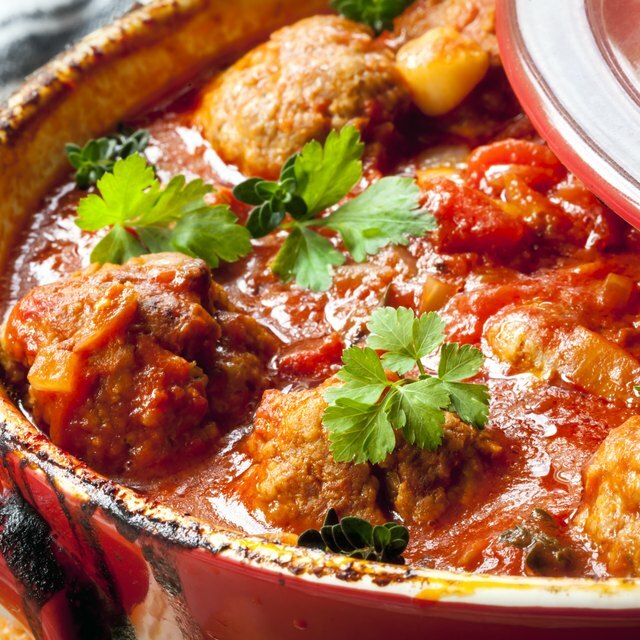 Combine meats, vegetables and seasonings for one-pot meals everyone will enjoy. Cook a 20-minute one-pot chicken dinner with little preparation time and simple ingredients. The vegetables on top of the chicken add flavor to the chicken. Begin by gathering a large pot with a steamer basket. Ingredients: 8 chicken thighs, skinless or not 4 small red or white potatoes, cut in halves 4 large carrots, cut in halves crosswise 4 half ears of fresh corn 1 head of green cabbage cut in quarters Instructions: Pour about 2 inches of water in the bottom section of the steamer pan. Place the steamer basket in the pan. The water should not come into the steamer basket. Lay chicken pieces in the bottom of the steamer. Season with salt and pepper. Layer potatoes on top of the chicken. Add the carrots. Bring the water to a boil. Cover and lower the heat to medium. Cook until chicken is tender--about 20 minutes. Add corn and cabbage during the last five minutes. Serve the dish with hot bread. Serves four. Enjoy one-pot chili. Use a large skillet with a lid. Ingredients: 1.5 lbs. lean ground beef Half an onion, chopped 1 small bell pepper, chopped 1 to 2 cloves garlic, diced 2 stalks of celery, chopped 3--15 oz. cans of chili beans or pinto beans 3--15 oz. cans diced tomatoes with green chilis Season to taste with: Cayenne pepper, cumin powder and chili powder Brown ground beef. Add vegetables. Stir and saute until onions are translucent. Add remaining ingredients. Bring to a boil. Cover and lower heat. Cook for 20 minutes. Serves six people. Macaroni and cheese is an all-American favorite. This recipe includes spinach. Gather supplies, including a large pot with a lid strainer for noodles. Ingredients: 1 small package large elbow macaroni Half a sweet onion, coarsely chopped 8 oz. chopped white mushrooms 6 oz. sharp cheddar cheese, grated 1/2 cup fat-free milk 1 bunch fresh spinach, washed and coarsely chopped. Remove stems. 1 tbsp. olive oil Instructions: Fill a pasta pot with water. Bring it to a boil. Add the macaroni. Lower the heat to medium. Cook the macaroni for seven minutes or until al dente (not too soft). Strain the macaroni. Add olive oil, washed and chopped spinach, onions and mushrooms. Add milk and cheese. Blend well. Add salt and pepper to taste. Cook for for 10 to 13 minutes or until the cheese melts. Serves four. What Should I Make for a Large Family Type Dinner? Where Does Gnocchi Come From?